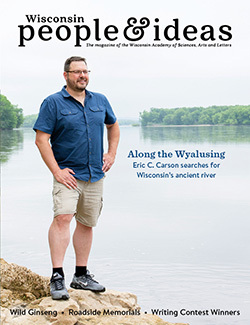 I recently had the chance to speak with Jason Smith, the associate director of the Wisconsin Academy of Sciences, Arts and Letters, and the editor of Wisconsin People and Ideas. We talked storytelling, publishing advice, and more. Check out his advice below, and make sure to attend his Craft Talk this Thursday, September 20th, 7 p.m. at the L.E. Phillips Memorial Public Library! Smith will explore how to craft gripping ledes and incorporate dramatic elements that captivate readers. He will also provide insight on how to translate complex subjects for, and explain abstract ideas to, general audiences. Emma O’Shea: In your seventeen-plus years of publishing experience, what stands out most to you when choosing writers to publish? Jason Smith: There are a couple of elements that you look for in good writing, and part of my talk coming up this week is about storytelling. Being able to succinctly tell a good story, something that I call the barstool pitch, is important. 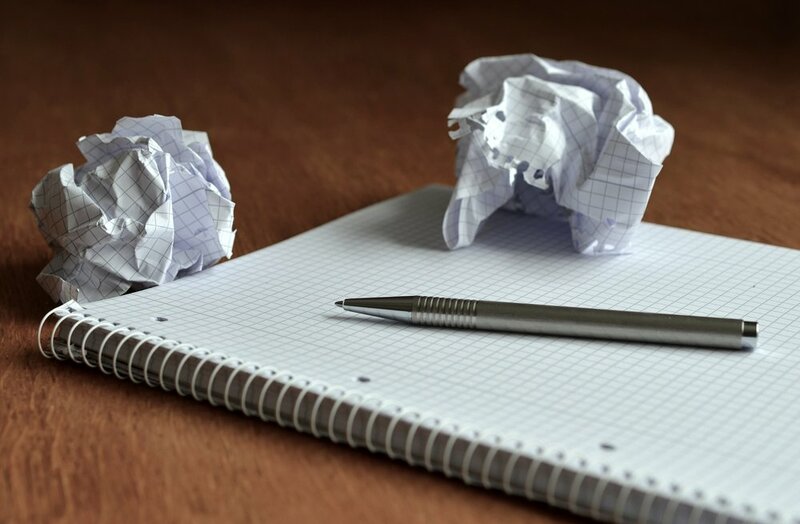 If you can summarize what your story is in a brief paragraph; outlining your lead elements, talking about your lead characters, and the conflict or the dramatic element that’s going to carry the reader through, that has a symbolic element that reflects personality traits of the characters and subjects. Talk a little bit about the outcome of what that story might be. People will read this story and once they’re done reading it, they’re really going to have a greater understanding of the experience of this kind of person. Whatever the story is and wherever it takes you, thinking clearly about the outcome and beginning is important. If somebody’s got a really refined idea, then their pitch will have those elements in that. EO: What would you say is a useful tip for writing a concise, yet resonating article? JS: The question I think writers (myself included) should ask about their piece is “why this now”? This seems deceptively simple, right? You know, I can ask those questions, but when you start passing your piece through that crucible, through that filter, it really makes you clarify the story you’re telling. It seems the “why” is so obvious 一 because the editor told me to write about this. It’s not always like that. You must find the why in the heart of whatever story you’re writing. What's going to make it compelling, and then how does it fit for this particular publication? How do you make that connection for readers and bring the why right to the front so that they’re really understanding why this piece is sitting in front of their face. There are so many stories, so many different kinds of people. So many interesting ideas out there. What makes this particular one stand out above and beyond everyone else, why is this case exceptional? Here’s where the drama comes in, where you can really lock in the reader’s attention on this story opposed to the 8 million other things that fly before our eyes on a daily basis. The now factor is something that’s tethered to the moment. It can be a cultural movement, something on a local level or a response to a tragedy, but really hitting the timing of the piece is key. EO: What would you consider the most important skill a writer can hone? JS: That goes back to storytelling. We tell stories in the way we’ve communicated for thousands of years. Recitation of the facts and an attention to detail is good. It’s really important to get your research right and to be really thorough, so as not to betray the trust of the reader. EO: How would a writer most effectively avoid clichés on well-covered subjects? JS: Don’t get stuck in those tropes and archetypes. The story of the up and coming someone doing great work; those stories are familiar and can sometimes border on cliché. The best way to deal with that is to try and find elements that complicate our understanding of these people, rather than follow along the rather rigid plotting character arcs. By complicated, I mean bringing in elements that change our understanding rather than just supply the detail and the things necessary to keep us going on a singular path. EO: What would you say is vital for writers to know when trying to get published? JS: This goes back to understanding where writers are pitching to and the mechanics of that magazine. Whether it’s an outdoor magazine or a literary one, really understanding the philosophical underpinnings of it. People all the time look at the contributor’s page, but they haven’t read any of the articles, so it’s helpful for them to go back and read some of our pieces and look at the types of writing and work that we’re doing here at the magazine. We’re looking to shine a light on not just scientific, artistic or literary expertise and innovation, but the ways in which these are used in the service of Wisconsin’s people and places. The second thing to consider is how does this translate some aspect of the creative process and make that process more accessible and intelligible to a general audience. There’s a human story in every story and finding ways to show how a person scientific, artistic, or cultural literary, works reflects the dignity in the work that people do on an everyday basis. So, I’m pulling back the curtain, this isn’t alchemy, or the work of a sheer genius. It’s the collaborative effort of people who are just trying to make their lives and the community that they live in a better place. The third thing is getting back to that notion of complicating our understanding. Getting off of that familiar plot or path line and showing people that it takes all kinds of people to compromise on community. In the case of our magazine, Wisconsin People and Ideas, we want articles that don’t show us this person going on this predictable path. We want to see something kind of unpredictable. Meet Jason this Thursday at 7PM at the L.E. Phillips Memorial Public Library!